Here it is the 5th of March. I haven't posted anything since mid-December. I justify this by thinking of a quote from Mark Twight who said once you start spending more time writing and talking about your alpine exploits then that is a clear sign that your going downhill and moving into Poserville. Don't want that to happen, so no posting. Solves that problem pretty nicely. But ... I get so much from reading some good stuff from people and I would like to think that I can contribute a small bit. So, once again I think I'll try to do better. Life is however taking action and doing, not talking about it or writing about it. 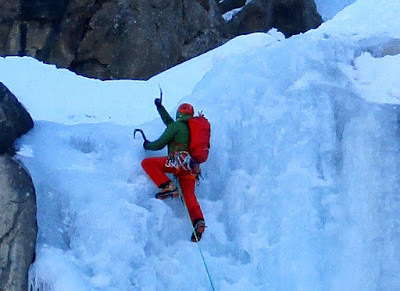 I have been doing a lot of ice climbing this season, which makes up somewhat for the dismal season in Europe in 2015-2016. 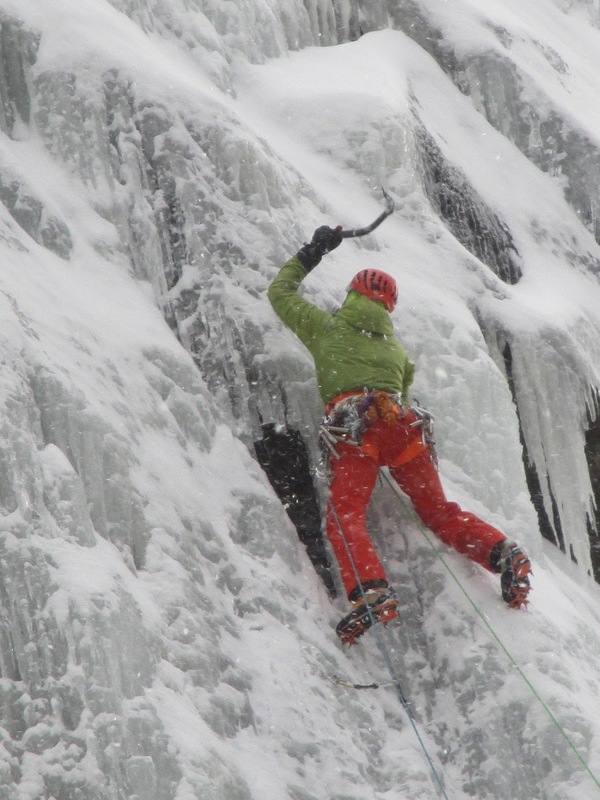 Here is one of the best things I came across recently related to ice climbing from Will Gadd. I have really learned so much from him through his book (which is now getting a bit outdated - hey Will, how about doing a new version???) and the great things he has posted through the years on his blog and website. The week before Christmas I was in the Aosta valley ice climbing. I spent Christmas in Chamonix, but unfortunately there wasn't much snow and no ice around, so I went back through the tunnel to Aosta for a few more days post-Christmas. 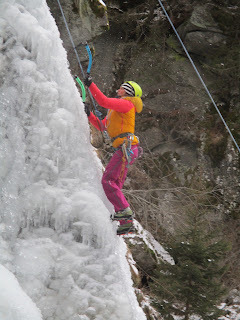 Then I began a pretty heavy schedule of activities for the Salzburg Alpenverein: a handful of ice climbing courses, an avalanche course, an off-piste ski technique day and a ski touring course. In between all the courses there was a mid-February trip to Cogne for almost two-weeks of ice climbing. In the past couple of weeks I have been on my skis either ski touring or free-riding just seeming to find adequate snow conditions. In addition to all this stuff, I have been trying to keep my sport climbing fitness up to speed with indoor training (It is not really going so well!) and keeping up with my clients who have personal training with me climbing indoors. It's funny to think about it but a number of times I feel like I'm not doing enough, or I could be doing things a bit better. Scrolling through some of the photos on my computer, I realise that I have had an active few months and I don't know how I could have done more. Just goes to show you that never being satisfied, or thinking that you could do better, is part of the human condition.